The fact is most patients don't know what sciatica really is. Even more interesting, many in the health care field misuse the term daily. Treating mild hypertension with drugs has unclear benefit and adds exorbitant sums to national healthcare expenditures, experts write in an article published online September 14 in BMJ. Thresholds for management need to be reexamined, and priorities should shift to lifestyle change. "The practical point for clinicians is that before you subject someone to lifelong medical therapy and its potential side effects, be sure that other elements like lifestyle changes have really been given a fair shot. That means don't pull the trigger too quickly," senior author Vikas Saini, MD, president of the Lown Institute and lecturer at Harvard Medical School, Boston, Massachusetts, said. Medscape is reporting "The American Academy of Orthopedic Surgeons (AAOS) has released a new evidence-based practice guideline for treating anterior cruciate ligament (ACL) tears. For patients who are candidates for surgery, the new guideline contains a recommendation to perform reconstructive surgery within 5 months of an ACL injury to protect the knee joint. What the report does not tell you is the strength of the research associated with this new guideline. In the case of the 5 month guideline the strength of the research is MODERATE, indicating "evidence from two or more 'Moderate' strength studies with consistent findings, or evidence from a single 'High' quality study for recommending for or against the intervention." Inflammation is one of your body’s powerful healing processes. Under normal conditions, it’s a short-lived, controlled response to an injury, such as a cut or a sprain, or a routine illness. Acute inflammation defends your body then goes away once healing is under way. Chronic inflammation is the result of more subtle insults to your body. Culprits include an unhealthful diet, lack of physical activity, stress and exposure to cigarette smoke or environmental toxins. Chronic inflammation lingers, creating a state of chaos. Research suggests that this may be the root of many complex diseases, including heart disease, type 2 diabetes and cancer. The VA has developed a mobile application to help support veterans who suffer from mild to moderate concussions. To better meet the needs of veterans and others who have suffered mild to moderate concussion associated with traumatic brain injury (TBI), the U.S. Department of Veterans Affairs (VA) has developed “Concussion Coach,” a mobile application that provides portable tools to recognize symptoms and to identify and make use of coping strategies. Consumption of noncaloric artificial sweeteners appeared to induce glucose intolerance in both mice and humans by altering gut microbiota in a series of experiments conducted by researchers in Israel. Rather than helping to prevent obesity and metabolic disease, use of noncalorie sweeteners may have contributed to the epidemic rise of these conditions. This study in the Annals of Internal Medicine demonstrated the spinal manipulation and home exercise improved back related leg pain after 12 weeks of care. Chiropractic research published in a journal owned by the AMA. Very interesting. The inability to stand on 1 leg for 10 seconds or to squat down to reach the floor represent strong early predictors of hip fracture and mortality in postmenopausal women, according to a 15-year follow-up study. "Squatting down to reach a floor and maintaining balance on 1 foot for a moment are essential functional abilities and very simple to measure. Inability to accomplish either of them demonstrates functional decline with increased risk of mortality and fractures." Patients with back-related leg pain who received spinal manipulative therapy (SMT) plus home exercise and advice (HEA) had less leg pain, lower back pain, and disability after 12 weeks than patients who received home exercise and advice alone, researchers reported. At 1 year, those differences were no longer significant, but patients experienced more global improvement, higher satisfaction, and lower medication use, the researchers reported. The findings suggest that SMT in addition to HEA could be a safe and effective conservative, short-term treatment approach for back-related leg pain, the authors said. The evils of too much sitting include body aches, pains and fatigue, but a new study suggests that 30-minute stints of standing at work may relieve aching backs without harming productivity. Australian office workers alternated between sitting and standing every 30 minutes for a week and felt less fatigued and less back pain and lower-leg pain than when they stayed seated the whole day. In the 50s and 60s, American chiropractors held a series of rather unusual beauty pageants where contestants were judged and winners picked not only by their apparent beauty and poise, but also their standing posture. Why not contests for men? Actually, there were some but they weren’t as popular and didn’t last very long. Researchers seeking alternatives to the use of drugs to treat ADHD in children are taking a closer look at exercise as a prescription. A recent study found regular, half-hour sessions of aerobic activity before school helped young children with symptoms of attention deficit hyperactivity disorder become more attentive and less moody. Other research found a single bout of exercise improved students' attention and academic skills. It isn't clear whether physical exercise offers particular benefits to children with symptoms of ADHD, since students with typical development also showed improvements after the sessions. More than 900 drugs, toxins, and herbs have been linked to liver injury, and “drug-induced hepatic injury is the most common reason cited for withdrawl of an approved drug.” A new study published in the Journal of Hepatologyfound dietary and herbal supplements lead to liver damage 20 percent of the time. Researchers examined the hepatotoxicity levels in 839 patients suffering from liver injury, focusing specifically on whether levels were a result of taking supplements or medications. Hepatotoxicity is essentially chemically-driven liver damage. Infants who received azithromycin (Zithromax) in the early days of life were at an increased risk for developing infantile hypertrophic pyloric stenosis (IHPS), researchers reported. The link was strongest if exposure to the antibiotic occurred in the first 2 weeks of life, and persisted to a lesser degree in kids between 2 and 6 weeks of age. Reducing sitting time may result in lengthening of telomeres, according to research published online. Uppsala University in Sweden, analyzed secondary outcomes for 49 sedentary, overweight individuals, aged 68 years, who were participating in a randomized controlled trial of a physical activity intervention. The intervention group received individualized physical activity prescriptions and the control group received minimal intervention. Telomere length in blood cells was measured at baseline and at six months. Red and white wines showed equal health benefits in new research—among people who move. The European Society of Cardiology found that wine drinkers have healthier hearts than abstainers, but the current trial—called In Vino Veritas (In Wine, Truth)—is one of the first studies to actually introduce wine into people’s lives and track its effects on their bodies. Looking for some fact sheet for healthier living? As a benefit of ACA membership, you have 24-hour access to our popular series of Healthy Living fact sheets - a handy patient education tool that you can download and photocopy to distribute in your office, use at health fairs or re-format as news releases for your local media. New fact sheets are distributed with each issue of JACA Online, ACA's electronic journal available free to members. Medical journals lack uniformity in reporting errors, and errors including those that may materially change the interpretation of data are frequent, according to a study published in The American Journal of Medicine. Recent research was conducted to determine adherence to clinical practice guidelines in the medical, physiotherapy and chiropractic professions for acute and subacute mechanical low back pain through best-evidence synthesis of the healthcare literature. This review showed that chiropractors appear to adhere to clinical practice guidelines more so than physiotherapists and medical practitioners, although there is scope for improvement across all three professions. Daily exercise may significantly reduce the risk of heart failure, according to new research. Heart failure, a common, disabling condition in older adults, was nearly half as likely in those who got an hour of moderate exercise or a half hour of vigorous exercise every day, researchers in Sweden found. "The study shows that high levels of physical activity are associated with considerably lower risk of heart failure," said study researcher. Coffee increased the risk of prediabetes in young adults with hypertension who were slow caffeine metabolizers. Daily fruit consumption cut the risk of cardiovascular disease by up to 40% in areas of China. Wine drinking was associated with favorable changes in lipid profiles only in people who exercise. Drinking tea reduced noncardiovascular mortality by 24%. Energy drinks are linked to heart problems -- even sudden death. Overweight children are already developing high blood pressure, a large European study found. Although most people immediately think of back or neck pain when they hear the word “chiropractor,” DCs can help with a variety of other issues and conditions. Likewise, DCs deal with more than bones, too. The tissues that connect bones and the muscles that support them are important in chiropractic care. The knee is an example of a complex joint that people are increasingly finding responds well to chiropractic adjustments. The use of instruments in treating knee pain may lead to improved patient outcomes. Two knee-related problems that many DCs treat are runner’s knee and knee osteoarthritis (KOA). Both conditions require treatment of the soft tissue surrounding the joint. In addition to treating the soft tissues, all conditions of the knee call for caution and low force adjustments. The complexity of the joint, as well as the fact that healthy knee function contributes to a high quality of life, make a conservative treatment plan optimal. Arthritis and other musculoskeletal conditions are Australia's fourth most expensive group of diseases, according to a report by the Institute of Health and Welfare (AIHW). In the most recent reporting period, 2008/9, spending totalled $5.69 billion, accounting for 9% of total health-care spending. Only cardiovascular disease, oral health and mental disorders are more expensive, according to the Institute. Osteoarthritis accounted for 29%, or $1.64 billion, of spending on arthritis and other musculoskeletal conditions, says Institute spokesperson Louise York. This was followed by back problems (21% or $1.18 billion), rheumatoid arthritis (6% or $355 million) and osteoporosis (5% or $306 million). Encouraging patients newly diagnosed with Type 2 diabetes to diet or to diet and increase their physical activity reduces markers of inflammation and their cardiovascular risk compared with usual care, real-world study findings show. “Our results show that motivational unsupervised diet and diet plus physical activity interventions, integrated into healthcare settings and with relatively modest resource implications, generate beneficial changes in various inflammatory markers in early [Type 2 diabetes]”, the authors report. Consumer Reports reports that with back pain, less really is more. Aggressive tests and treatments can waste your money and actually slow your recovery. Here are four common mistakes in treating back pain. A new security risk assessment (SRA) tool to help guide health care providers in small to medium sized offices conduct risk assessments of their organizations is now available from HHS. The SRA tool is the result of a collaborative effort by the HHS Office of the National Coordinator for Health Information Technology (ONC) and Office for Civil Rights (OCR). The tool is designed to help practices conduct and document a risk assessment in a thorough, organized fashion at their own pace by allowing them to assess the information security risks in their organizations under the Health Insurance Portability and Accountability Act (HIPAA) Security Rule. The application, available for downloading at www.HealthIT.gov/security-risk-assessment also produces a report that can be provided to auditors. HIPAA requires organizations that handle protected health information to regularly review the administrative, physical and technical safeguards they have in place to protect the security of the information. By conducting these risk assessments, health care providers can uncover potential weaknesses in their security policies, processes and systems. Risk assessments also help providers address vulnerabilities, potentially preventing health data breaches or other adverse security events. A vigorous risk assessment process supports improved security of patient health data. With ever more sensitive imaging modalities we have progressively devalued the traditional methods used to evaluate the integrity of the spinal column in favor of more technologically advanced ones. Despite decades of success in treating this pathology and clear evidence that clinically relevant spinal injuries present with obvious clinical signs, we have let anecdotal evidence get the best of us. MRI identifies far more injuries than CT.
MRI is prone to overcalling pathology. Even a surprising number of asymptomatic healthy controls, with no history of acute trauma, will have radiologically significant pathology found on MRI. Furthermore, when findings on MRI are compared to the injuries identified during surgical exploration, MRI demonstrates a propensity for identifying lesions where none exist. Given this, it no longer seems appropriate to consider MRI the gold standard for defining disease in acute spinal trauma. Rather we should examine clinical follow-up and functional patient-oriented outcomes. Neither little nor excessive physical activity contributes to chronic musculoskeletal pain (CMP) in people who are middle-aged or older, Japanese study findings suggest. But the researchers say that the “potential benefits of PA on CMP still deserve discussion.” They suggest that possible ways in which PA could reduce the risk of CMP include by decreasing mechanical stress, improving blood flow to painful areas, relieving psychological stress and increasing pain tolerance. While the Texas Sunset Commission has recommended to the Texas Legislature that Doctors of Chiropractic be removed from the list of healing arts providers who are permitted to authorize a student athlete to participate in University Interscholastic League (UIL) school athletics, perhaps the legislators involved should consider the statistics from the following reports. In their hearing, where the public was not permitted to provide input, the Sunset Commission heard that there are more than 700,000 student athletes in Texas. All of these 700,000+ student athletes must be certified by a listed health care provider prior to participating in sports sanctioned by the University Interscholastic League. The stated concern of the MD-legislators was the prevalence of sudden cardiac arrest, and their "concern" was that only those under the direct control of a medical physician should be authorized to permit a student athlete to play. However, the American Academy of Pediatrics, in their Journal Pediatrics, in 2012, reported in this article that "In the United States, there is no centralized or mandatory registry for pediatric sudden cardiac arrest. A new study this month found that after six weeks, volunteers in the control group showed no changes in their responses to pain. But the volunteers in the exercise group displayed substantially greater ability to withstand pain. Their pain thresholds had not changed; they began to feel pain at the same point they had before. But their tolerance had risen. They continued with the unpleasant gripping activity much longer than before. Those volunteers whose fitness had increased the most also showed the greatest increase in pain tolerance. One California hospital charged $10 for a blood cholesterol test, while another hospital that ran the same test charged $10,169 -- over 1,000 times more. For another common blood test, the average hospital charge was $371, but prices ranged from a low of $35 to a high of $7,303, more than 200 times more. "People say our healthcare system needs to be more marketplace-driven, but the charging system and payment system are irrational. When people try to understand why prices are the way they are, we have no ability to explain it. That is the take-home message. That is what is so disturbing." Good posture — holding the head, shoulders and trunk in perfect alignment — creates balance, which allows our many physiological systems to function optimally. When we habitually sit, stand, or walk in a less than a fully aligned position, muscles stretch or contract to accommodate. This can result in chronic imbalances that can lead to pain. Studies dating back to the 19th century also suggest our posture affects mood, energy, and self-confidence, all of which affect how attractive we appear to others. A group of researchers is upping the ante in an ongoing battle to retract a study that linked testosterone with cardiovascular risks. The Androgen Study Group charging that the Journal of the American Medical Association "violated accepted standards of medical journal ethics and editorial integrity" by not pulling a November study by Vigen et al. following corrections and other problems with the data. The American Heart Association warned that patients should be warned before chiropractic manipulation of the neck that the technique has been linked to cervical dissection, which can cause stroke. In the October issue of the AHA's publication Stroke they cautioned about the low level of evidence for a connection. The current biomechanical evidence is insufficient to establish any causal claim, the statement noted. The Palmer Center for Chiropractic Research warns about the American Heart Association's statement being misleading regarding strokes and chiropractic. Subjects with and without temporomandibular disorder (TMD) presented with global body posture misalignment. Postural changes were more pronounced in the subjects with TMD. In addition, symptomatic subjects presented with abnormal plantar pressure distribution, suggesting that TMD may have an influence on the postural system. Call it “dry brain.” The moment your noodle feels even mildly parched, a bunch of its most important functions tend to go haywire. From the way you feel to the power your mind has to process info and memories, dehydration does immediate damage to your mental abilities. The Australian and New Zealand Society of the History of Medicine has recently published an article stating that "it is commonly assumed that contemporary Chinese Medicine has an ancient lineage and its practice can be related in a straightforward way to medicine practiced in China for thousands of years." This impression is mistaken the article points out. "What we currently call traditional Chinese Medicine is only sixty years old and it does not share the same theoretical principles to the ancient medicine of China (referred to as yi)." Many people drink green tea for health reasons. It is a superstar when it comes to antioxidant levels, and is being studied for its potentially curative properties on multiple health concerns, whether it's staving off the aging process or fighting cancer. If you want to "up the ante" it's time to consider switching from green tea to matcha. Now, matcha is still green tea, but it's the entire leaf of camellia sinensis that's been ground up, as opposed to the brew created from steeping the tea leaves in hot or cold water. 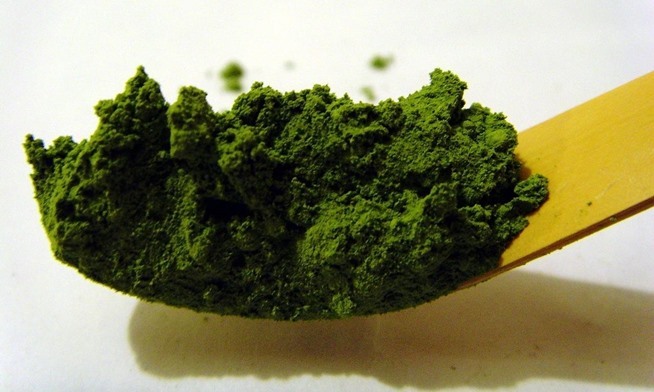 So when you drink matcha, you're actually ingesting the entire green tea leaf. We are an inflammation nation: as our way of life moves further and further away from our natural design, our immune system stands guard in confusion. Inflammation is an ancient defense mechanism. In our modern life, however, it is out of sync of what we demand of it. not all inflammation is harmful: we depend on acute inflammation to help us heal. But we also depend on inflammation turning itself off. Chronic inflammation, in response to poor diet, stress or pollution, wreaks havoc in our body like termites in a log cabin. Many of you have already seen this study from the Lancet which showed that Tylenol did no better than a placebo for acute back pain. Here are some other studies showing that surgery is not better than conservative care in the long run. This is the first in a series of reports that will be generated by this working group that are intended to build an evidence base for concussion. This first report, Step 1, is a systematic review of prevalent indicators of concussion that used the highest-quality published literature and a rigorous process of publication selection, quality assessment, and data abstraction and synthesis. It is the foundation on which we will base future work to derive a classification system for concussion and guidelines for diagnosis, prognosis, and treatment. Recent use of some oral contraceptives is associated with an increased risk of breast cancer, researchers reported. In a nested case-control study, women who had used birth control pills within the previous year had a 50% increase in the risk of disease, compared with those who had never or formerly used the drugs. The most influential trend in medicine today, growing exponentially, is the emerging field of what is known as "lifestyle medicine" -- lifestyle as treatment, not just prevention. We tend to think of advances in medicine as a new drug, laser, or surgical device, something high-tech and expensive. Yet, the simple choices we make in what we eat and how we live have a powerful influence on our health and well-being. For the past 37 years, the nonprofit Preventive Medicine Research Institute and the University of California San Francisco School of Medicine, have conducted a series of randomized, controlled trials and demonstration projects showing that comprehensive lifestyle changes alone often can reverse the progression of coronary heart disease and several other chronic diseases. In our research, we've used high-tech, expensive, state-of-the-art scientific measures to prove the power of these simple, low-tech, and low-cost interventions. There is a widespread understanding within the profession of the general guidelines for care of the concussion patient. These include guidelines for physical and cognitive rest, return to normal activities and so forth. What has not been sufficiently discussed is the potential role of the chiropractic adjustment itself for victims of concussion and post-concussion syndrome. The following is a brief review of a small sample of the evidence within the clinical literature supporting a role for the chiropractic adjustment in concussion care. The manifestations of concussion that responded under chiropractic care in these case reports included deficits in attention, vestibular function and vision. Running for even 5 to 10 minutes a day, once or twice a week, or at slow speeds was associated with substantial mortality benefits over 15 years, a prospective study showed. Runners overall had 30% and 45% lower adjusted risks of all-cause and cardiovascular disease mortality, respectively, over that period and had 3 years longer life expectancy compared with non runners. Imagine there were a nutrient that could protect your bones, brain and heart, and maybe even help you live longer. It's 100 percent free, and all you have to do to get it is go outside. Well, that nutrient exists -- it's vitamin D, which is created by our cells when our skin is exposed to sunlight. But despite these facts, many Americans aren't getting as much of the "sunshine vitamin" as they should. Here's what you need to know about vitamin D, and how inadequate levels can affect your health. The FDA has approved over-the-counter sales for Flonase (fluticasone propionate), the nasal spray for allergies, its manufacturer said. It's the first intranasal steroid drug for allergies to be given OTC status. Among the most popular diet programs and drugs, Weight Watchers trims the most bulge for the buck, according to a new cost-effectiveness analysis. The incremental cost per quality-adjusted life-year (QALY) demonstrates Weight Watchers because it's the least expensive." Researchers conducted the analysis because more insurers have been considering coverage of weight-loss drugs and diets given the increasing health and cost burden of obesity. Yet little information exists as to how pricey the incremental health benefits of the various strategies are. About two-thirds of adults have lower back pain at some point in their lives. Most are told to take acetaminophen, and Medical guidelines around the world recommend acetaminophen as a first-line treatment. But there has never been much research to support the recommendation, and now a large, rigorous trial has found that acetaminophen is not effective for lower back pain. The use of acetaminophen for acute low-back pain was no more effective than placebo with similar times to recovery regardless of whether the drug was taken regularly or as needed, a large randomized trial found. "Guidelines for acute low-back pain universally recommend paracetamol [acetaminophen in the U.S.] as the first-line analgesic," authors observed, but noted that there is little evidence to support this recommendation.